Northwest Animal Companions works closely with our foster homes to provide a great transition environment. All of our cats have been spayed or neutered, FeLV/FIV tested, microchipped and are current on their vaccines. If have any questions, please call us at 503-285-0656 or send email to info@nwac-oregon.org. 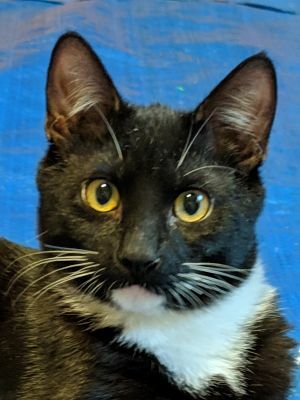 What to know more or meet a specific cat? Tell us about your situation and who you are interested in meeting by completing our brief adoption form. 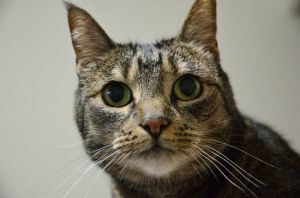 You can see Available Cats on our Petfinder Profile by clicking HERE! They both are very curious kittyâs and love all kinds of toys , they enjoy hanging by the window for most of the day. They have places they like to hide in and roam around the apt, but they also come up to me often and sit on my lap. I can pick them both up and give them love although Jazzy prefers to sit near or on me . The know ânoâ and âget downâ they usually listen , especially when i bribe them with treats. They have never hissed at me or been aggressive. Jazzy (black one) is 5 months old. She can be a little timid at first but is really sweet , she likes to talk and mostly sleeps with me every night . 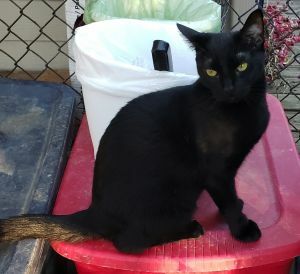 Leia is 10 months and is a little more independent , very sweet and also likes to talk back. She occasionally sleeps in the bed with us. They are very bonded , they play , nap and groom each other daily. 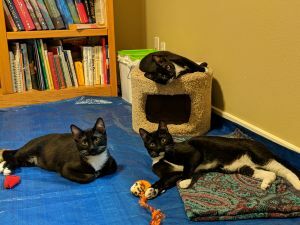 To meet Princess Leia and Jazzy, please fill out this application, which allows us to put you in touch with his foster parent: http://nwac-oregon.org/adoption-application/ The adoption fee includes FeLV/FIV testing, current deworming and vaccines, a microchip, and a spay or neuter.